In order to receive a tutor, you must attend one Tutee Seminar per academic year. The Tutee Seminar is held every Friday at 2 pm in Dinkins Auditorium. To view Seminar dates for this semester, click HERE. During the seminar, you will learn about the Peer Tutoring program and how to gain access to the scheduling website. 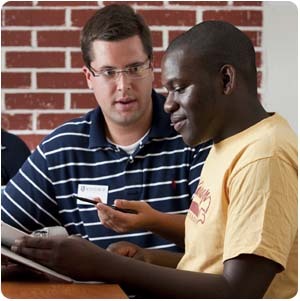 If you have already attended a Tutee Seminar during the academic year, please utilize Tutor Trac (http://winthrop.go-redrock.com/) to sign up with a tutor. If you would like to drop your tutor, please complete the application to drop tutoring.